With over 70 million users, this highly visual platform has an enticingly large audience for retailers. Pinterest is a digital space for lifestyle inspiration, more so than direct sales. This is why marketers have to be exceptionally creative with their selling techniques on this social platform. 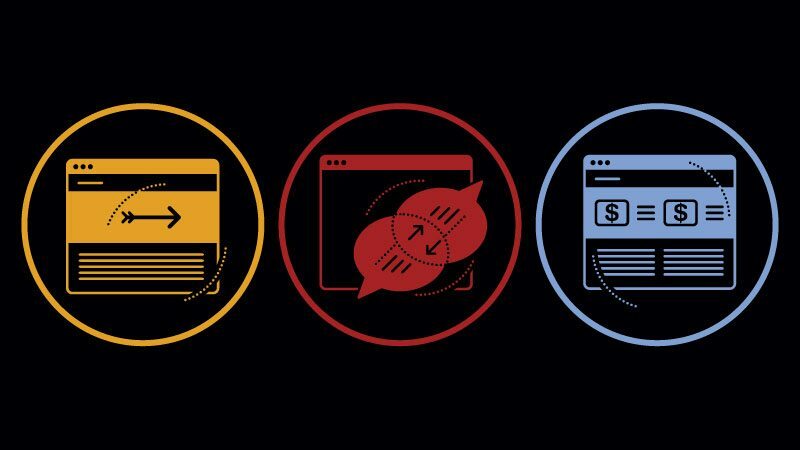 Brands with or without their hands in ecommerce can embrace this platform and build relationships with their customers that will encourage them to buy. At the 2014 Social Media Marketing World conference, Michael Bepko, Global Community Manager for Whole Foods, says part of their strategy has been to become “a trusted partner in lifestyle inspiration and solutions,” which has proven to be very successful for their brand. Take a look at this example of the incredible influence Pinterest can have on your web traffic provided by Bepko. The pin on Pinterest generated 100,000 clicks to the actual apple recipe page on the Whole Foods site. After being redirected from Pinterest to WholeFoodsMarket.com, viewers continued exploring the brand’s site with 120,000 additional clicks to various pieces of content. Bepko certainly outlined some impressive numbers with his pin example, but this isn’t just a one-time occurrence. Pinterest now generates over 400% more revenue per click than Twitter and 27% more than Facebook. Scroll through our compilation of statistics below to discover what you need to know when harnessing the power of Pinterest to drive traffic and sales. As we mentioned in our Social Media Channel Reference Guide, Pinterest is an image-based platform that serves to inspire. Pins can inspire people to cook, vamp up their wardrobe, improve their home, become more fit, better their lives, etc. To translate that into sales terminology: Pinterest inspires people to buy things so that they can recreate what they saw in a pin. Pinterest boasts 53 million monthly unique visitors in the U.S.
70% of people surveyed said they use Pinterest to find inspiration on what to buy. 52% of daily Pinterest users load the social media app in-store to guide their purchases. 75% of Pinterest activity is mobile. Americans share content on Pinterest 3 times more often on mobile devices than on desktop computers. Pinterest grabs about 41% of e-commerce traffic, while Facebook is at 37%. 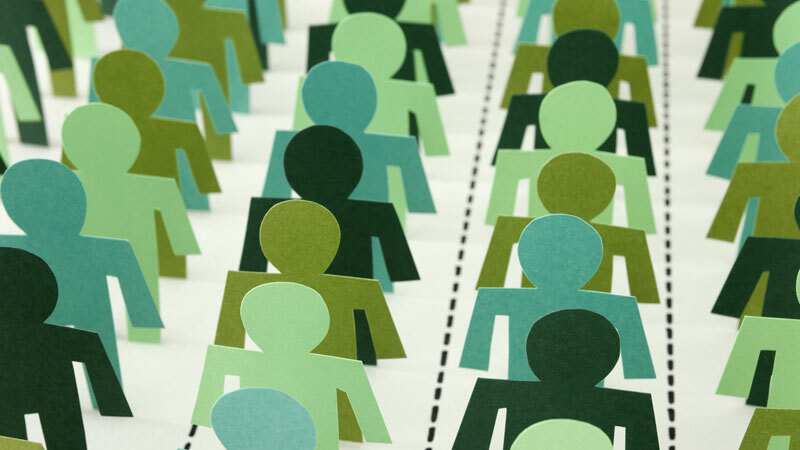 Do you know if your brand’s audience is on Pinterest? There’s a good chance that they are … but if you want the numbers to prove it, these statistics will tell you who you’re selling to if you start pinning your content on Pinterest. 79% of users are female. 61% of female users on Pinterest are mothers. The largest percentage of female visitors are from Midwestern states. Mothers repin 3 times more content than the average user. 79% of active users are from the U.S. 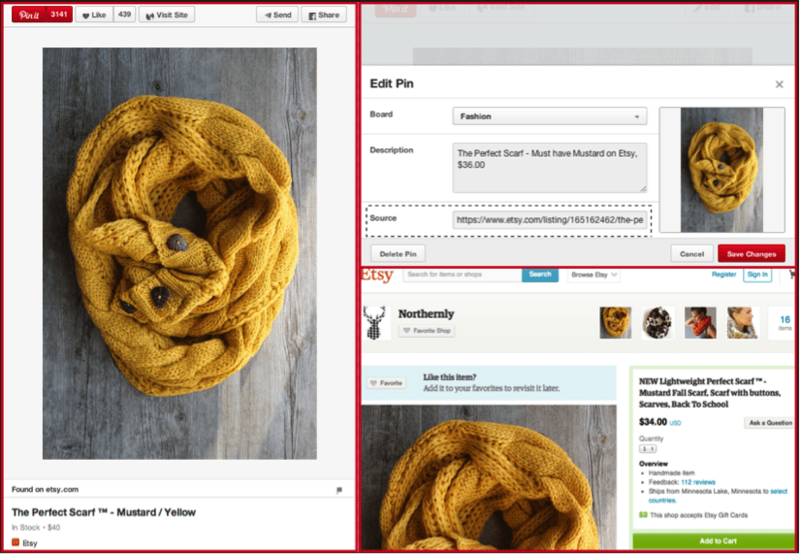 The average e-commerce order placed by a Pinterest user is $179. Compare that to $80 for Facebook and $69 for Twitter. The average Pinterest user has a household income >$100,000 per year. Male users are 14% more likely to be single and living alone, 16% are more likely to be a homeowner, and 20% more likely to purchase a product in store or online because of something they saw on Pinterest. Users visit this platform for lifestyle inspiration, and statistics show that product shots are not the way to go. Brands need to get creative with their product placement. 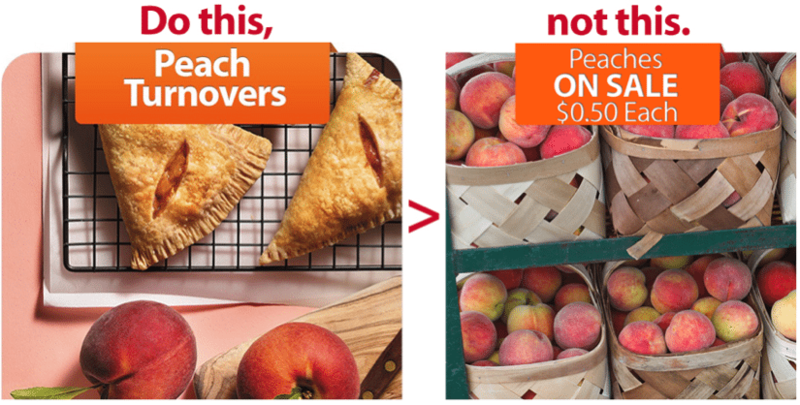 For example, if you’re a grocery store like Walmart and you want to promote the peaches you have on sale, show your product within recipes and not just sitting on a shelf. Tutorials, guides and & DIY pins see a 42% higher click-through rate. 54% of the pins that generate click-throughs are linked to blogs. 18% go to a brand or product site and 3% go to a magazine website. Images with multiple dominant colors have 3.25 times more repins than single dominant color images. Vertical images with an aspect ratio between 2:3 and 4:5 get 60% more repins than very tall images. Brand images without faces receive 23% more repins than images with faces. By now you’re convinced that your brand should be selling on Pinterest, but where do you start? 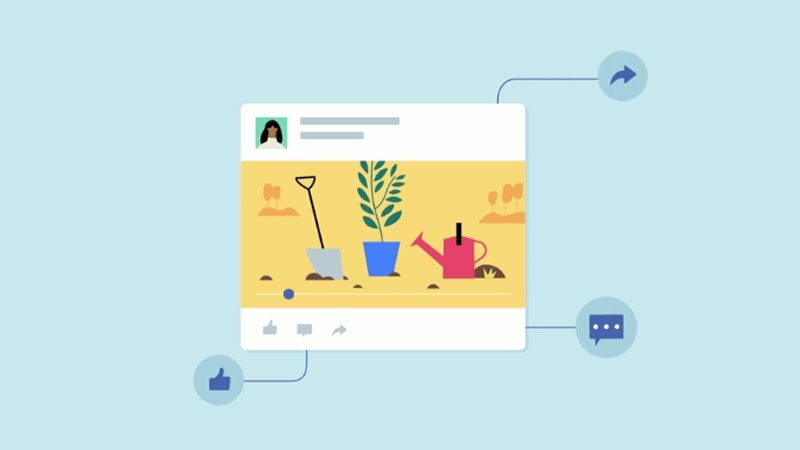 Each brand has a unique voice, product, and audience, so how do you incorporate all of these factors into a single pin? This is where an agency can help, but if you want to go ahead and get started on your own, we’ve developed a quick DIY guide for using Pinterest to drive sales. 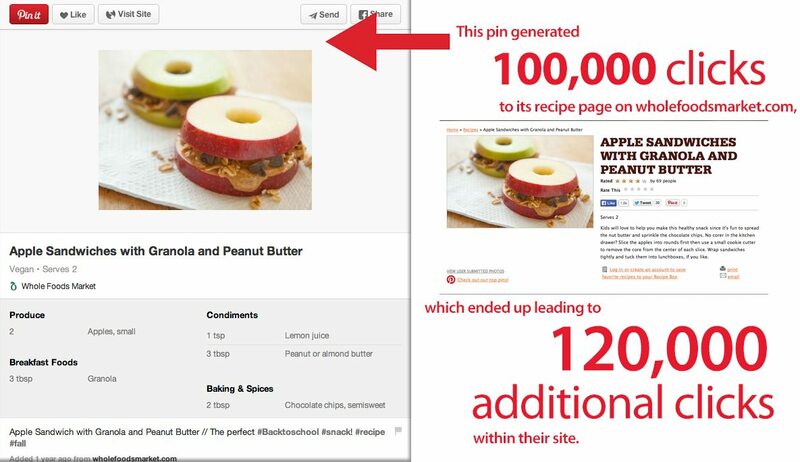 If your brand isn’t already on Pinterest, use this reference guide to get started. Plan some original pins. Yes, a lot of your activity on Pinterest will be repinning, but you still want quite a bit of original content that you can link back to your site. Enlist a designer and/or photographer to help you create some pins. Try to avoid using stock photographs. Do some research to figure out who is pinning what and when. For example, studies show that users are mainly interacting with food content on Sundays. Pin during prime time for your target audience so your followers are more likely to see your pins in their feed. Notice the trends. Right now it’s football season and you’re seeing your feed fill up with tailgate recipes and jersey DIYs—jump on the bandwagon! Repin from others and create your own relevant and original content. Place your product within it. Here’s an example of a creative pin from Walmart World magazine. You can bet all of the products in the supplies list are sold at Walmart. If you can, link to your blog or product. This will make it much easier to finalize the sale and enhances the chances that your pin will be found in search. Have any questions or your own suggestions about using Pinterest for business and sales? Share them with us below!